Now, as part of the commitment to commercial vehicle manufacturers Dow Automotive systems is launching a series of new technologies to address the market’s unmet needs. In the same time, Dow Automotive expands the elastic adhesives portfolio which has already been well received. BETATECH PLUS™: Polyurethane based solvent free sealants with good adhesion attributes on a wide range of substrates common in construction of commercial vehicles with no/less pre-treatment requirement. It is manufactured as white, gray and black and available in various packaging options. BETAWIPE™ Hydro 2: Improved water base activator which is ready to use, requires no mixing prior the application and has extended pot life. Developed to be used in glass bonding applications instead of a blackout primer to reduce VOC and process time, used with UNIWIPE Adhesives portfolio. BETASEAL™ 7150: New generation of UNIWIPE Adhesive systems compatible with BETAWIPE™ Hydro 2 to meet the low VOC requirements during elastic bonding and sealing applications on commercial vehicles to meet workers safety requirements. BETASEAL™ 7170 and ACCEL: One component polyurethane adhesive system which can be accelerated by dosing water paste as second component to enable humidity independent curing and reduce the fixture times. When warm applied it delivers a green strength to maintain the position of the bonded parts to eliminate mechanical fixation methods and tapes during the process. This adhesive system is also compatible with BETAWIPE™ Hydro 2 to meet the low VOC requirements. 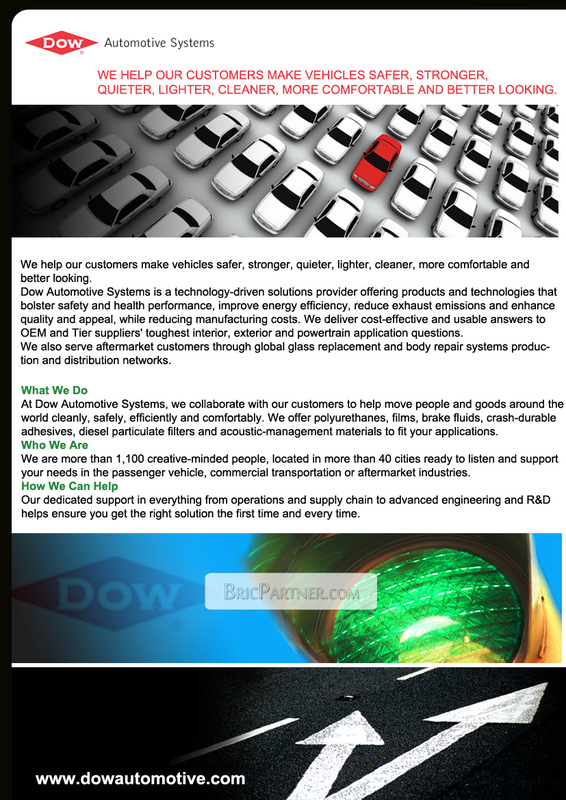 Dow Automotive Systems is a leading provider of polyurethanes, elastomers, films, fluids, adhesives, emissions solutions and acoustic-management materials to the global transportation industry. By working collaboratively with passenger vehicle, commercial transportation and aftermarket customers, Dow Automotive Systems is developing industry-leading solutions to address a wide range of critical market needs – increasing energy efficiency, improving safety and health, reducing exhaust emissions and enhancing vehicle quality and appeal. For additional information about Dow Automotive Systems, visit dowautomotive.com.